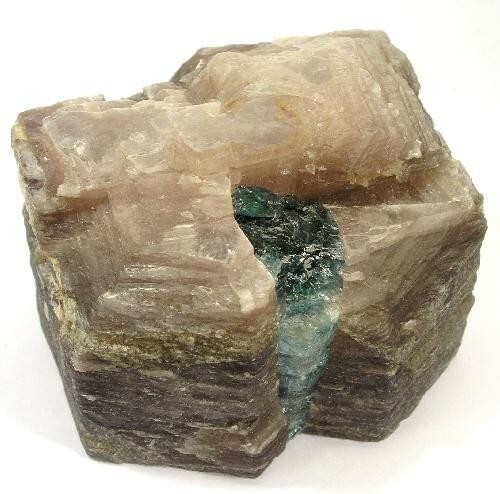 A bright, very attractive combination of a gemmy, teal-colored Apatite crystal embedded in a Muscovite book that is 4.4 cm across and 3.4 cm tall. 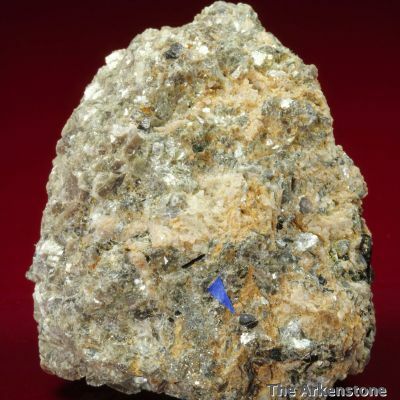 The gemmy Apatite, though not terminated, has a very appealing vitreous luster, lovely coloring, and is about 2.5 cm long. The Muscovite, of course, has a terrific pearly luster that is almost too bright to photograph. A strange combination piece. Ex. Charlie Key stock.